Would you Like To Add A Swarovski Crystal To Your Jumper? 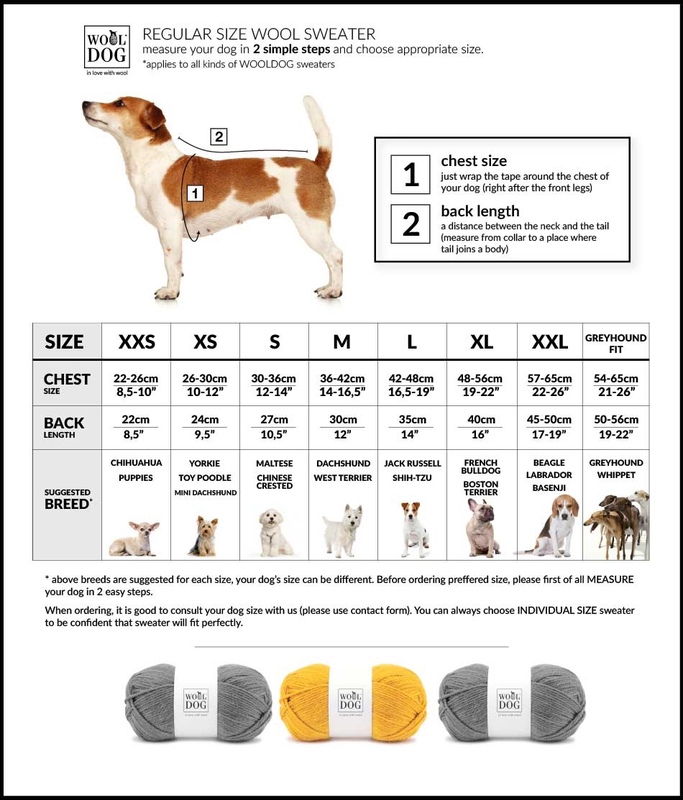 At WoolDog we have gathered all our knowledge, experience and passion to create the highest quality dog sweater made of 100% top quality merino wool in powder pink colour. Fibres of this wool are so precious that they are stored in safes in Argentina, New Zealand and Italy. WoolDog created the Supreme sweater with perfection in mind as we wanted it to be comfortable for your dog. This sweater is made of love and care as we want to make your canine friend to feel safe and warm. The Supreme sweater is a perfect choice for spring, autumn and winter walks but it can be also worn at home. Wearing this sweater your canine friend will not need to wear any additional clothing. The Merino wool sweater will keep your doggy warm in all weather conditions, wrapping them in wonderful softness. The sweater allows the appropriate air circulation, is dirt resistant, does not wrinkle and prevents bacterial proliferation, adding to the benefits both you and your dog will appreciate. The Supreme sweater was manufactured with heart, something your dog will feel every time they wear it. 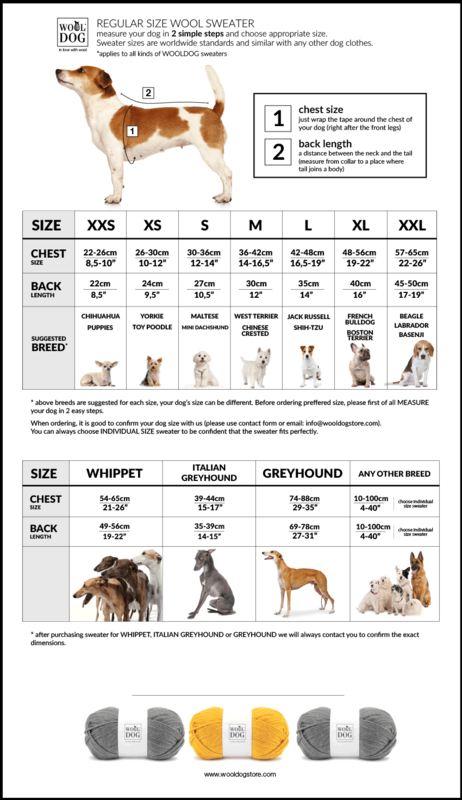 Any dog will feel comfortable wrapped up in the sweater which makes every dog owner sure they have given their dog what is best for them. Supreme sweater fibres are dirt and bacteria resistant. What is more, the sweater is breathable, biodegradable and does not wrinkle. That is the best thing you can give to your dog. Visit our other pages for more Supreme sweaters in the Deep Steel and Tangerine Dream colour.